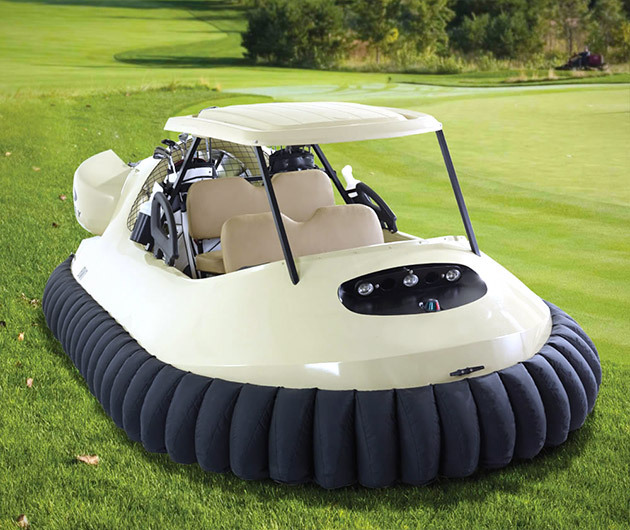 Golf just got a whole lot more interesting thanks to the Golf Cart Hovercraft which boasts a 65-hp twin-cylinder Hirth engine and a nine-blade axial-flow duct fan that propels it up to 45 mph while nine inches above the ground. It’s not only therefore grass-friendly, but will even ferry you across the streams and ponds too. Seriously, like you’re going to want to interrupt riding round on this with, you know, golf.